KFS we called them in the army, it stood for knife, fork, spoon. More frequently simply called ‘utes’; shortened from utensils. I haven’t taken a full set of cutlery on a solo camping trip for quite some years. Three Points of the Compass was so easily tempted down the Light My Fire Spork route. 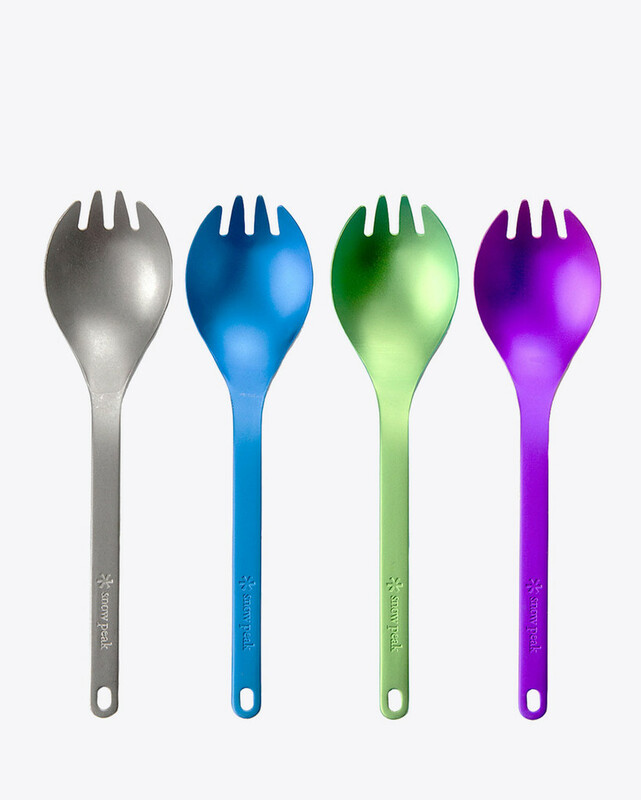 The family and I have all had Sporks in a variety of colours, I even seem to recall a glow-in-the-dark variant a few years back. It formed a minor source of amusement to my young daughter before she too was tempted by the dark side- titanium. 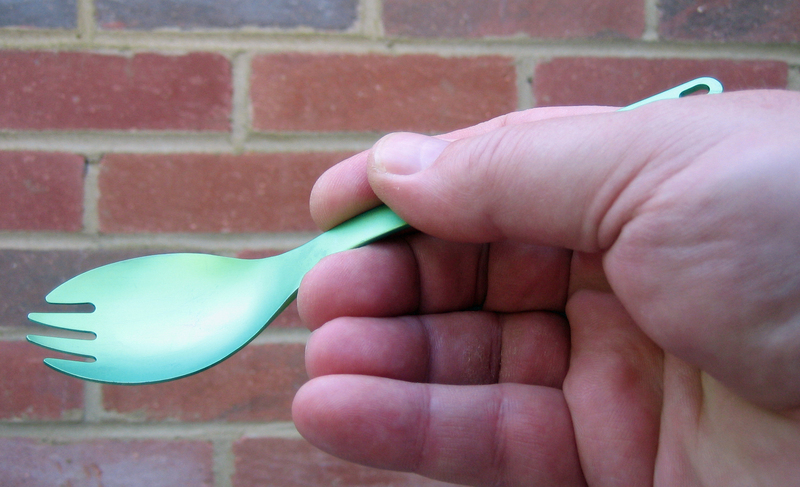 However there are far more efficient and useful spoons out there. It seems that every outdoor gear manufacturer is churning out their own version, often given a portmanteau- foon, lhfoon, spork, knork, spife, I have even seen a variant that has a spoon with a handle that consists of chopsticks, OK, enough of that. 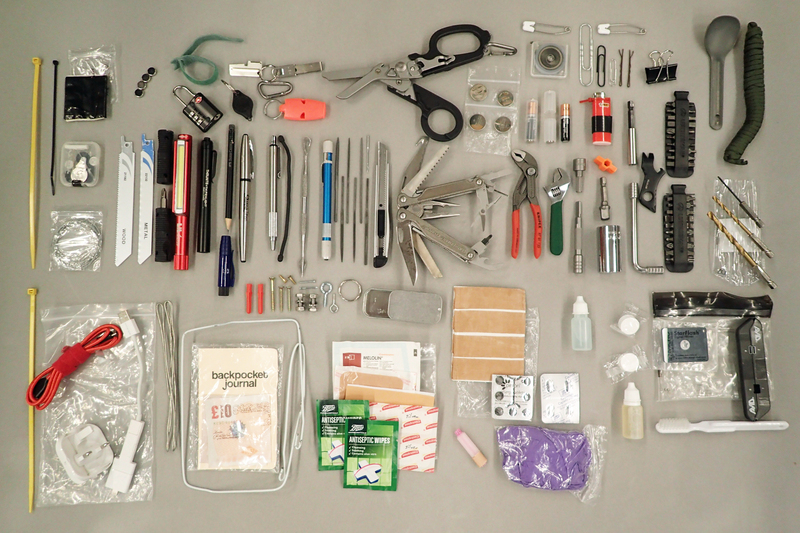 Beyond simply lifting food into the mouth, a decent eating utensil has to do far more. It needs to be of a good size to actually hold the food, stir it in a pan, lever off beer bottle caps, actually stay in one piece for the duration of a hike, reach the depth of a pan or meal-in-a-bag, be comfortable in the hand, be of a size that is packable, be your new best friend at meal times, and so on. Some other factors are not so obvious, depending on the type of food being eaten, there may be the wish to pierce or stab it, use the side of the bowl to cut it if not using a pocket knife, not take the non-stick surface off a pan if that is your favoured type, be affordable, bright and colourful enough not to be lost, of a media that can be sterilized in flames, have means of clipping to the pack or similar… any of these or none of these, it is your call. I have found that it is one of three types of spoon I need for most hikes. A short spoon works well with the shallow bowls or cooking pans I prefer, a longer, or ‘standard’ length of implement that combines a decent size of spoon bowl together with effective fork tines, or a longer handled implement for reaching down into a Jetboil or ziploc bags etc. I need only take one of these and over the years I have settled on what I prefer for each type. A word on titanium. 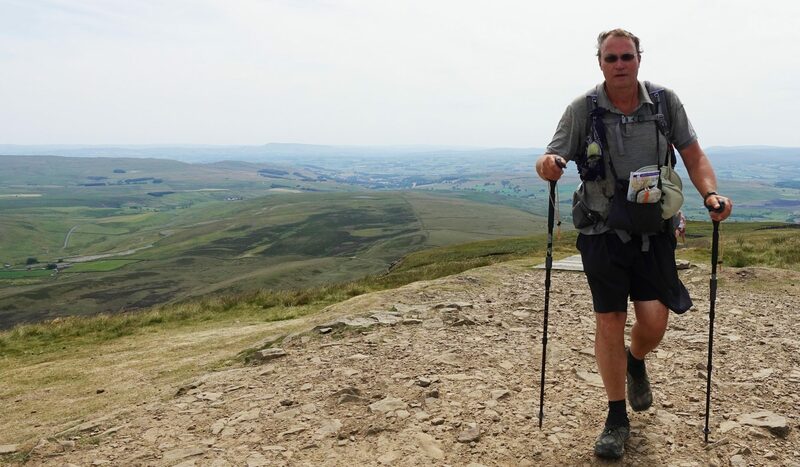 The use of titanium in the outdoors world excites great comment. Many people are not particularly keen on the perceived taste of this material in the mouth, or the feel of the unpolished bowls that some anodized utensils demonstrate. Anodizing is the electrochemical process that converts the metal surface of a spoon into a durable, corrosion-resistant, anodic oxide finish. Below are my thoughts on some that I have used. I experimented very briefly with one of these spoons. Purchased ridiculously cheap on-line, they are strong. Wood will not melt while stirring food in a pan, really light at only 8g, but the bowl size is no more than a shallow teaspoon. It is of no real use whatever when it comes to shoving food quickly into a waiting mouth. There are probably better sized alternatives out there but life is too short to go looking. Though I do note that Gossamer Gear does an interesting looking version. You cannot really get much cheaper or lighter than one of the spoons either sold or given away in shops, supermarkets and restaurants. 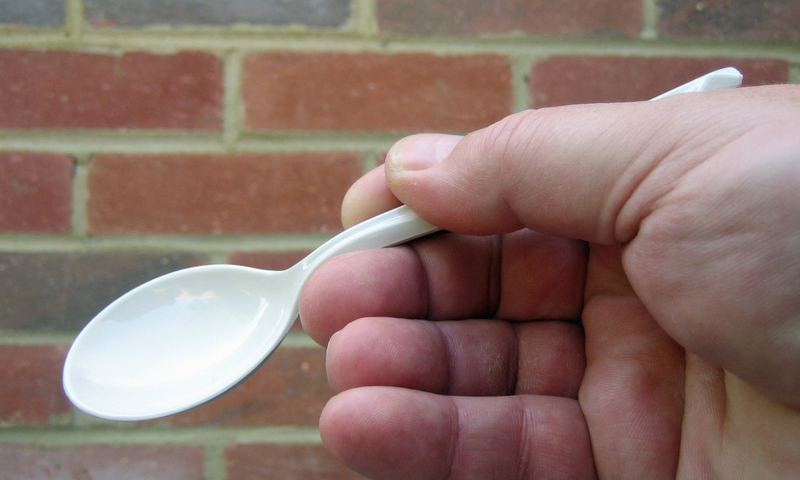 That shown above is only slightly larger than a teaspoon but larger ones can be found. While some are very flimsy ‘one time use’ affairs, other can be remarkably well made and, with care, will last some time. And when you break it, or lose it, simply pick up another. That said, the frustration of having one break while sitting in a cold wet tent contentedly spooning hot food in to the mouth, is not something to willingly be experienced in my mind. I want something with some heft about it that is not expected to fail. Occasionally such a spoon goes along with me if it is a group of hikers and other spoons can be shared around if a breakage occurs, or one of these is fine on a day hike for brew ups etc. For a day hike where a stop may be made for a brew up or water heated for a dish of spicy noodles on a dreary wet day. This is a good lightweight and efficient solution that will not cause too much in the way of hardship should it break suddenly. It squeezes out a tea bag perfectly. A simple, now classic design. Some rave about it, others find the fork at one end, spoon at the other, doubly annoying. I have found that as with most things, I have just got on with it, utilising whichever end is most suited to the food I am eating. Switching over mid-meal is seldom done though. If being honest, the design has never proved to be a favourite of mine. It is impossible to use the ‘knife’, actually a slightly serrated edge to one of the fork tines, on food unless you hold the object being cut with something else. You can’t sterilise it in the fire and it will happily melt on too hot a base of pan. Despite being far stronger than the cheap (free?) plastic spoon shown above, I have also had too many of these suddenly break without warning. 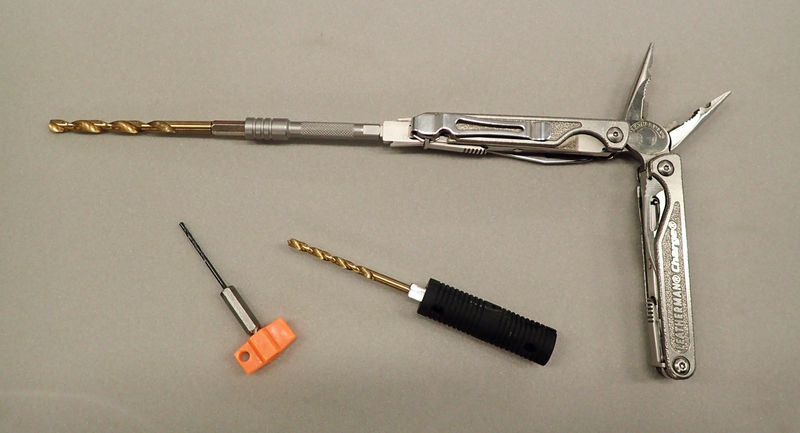 You will note that the one in the image has also lost the tip off one of the fork tines. Which was why I doubled the weight and chose to buy one of the, more than doubled in price but more durable, titanium versions. Despite the increase in weight, these sporks are far better than the plastic version. 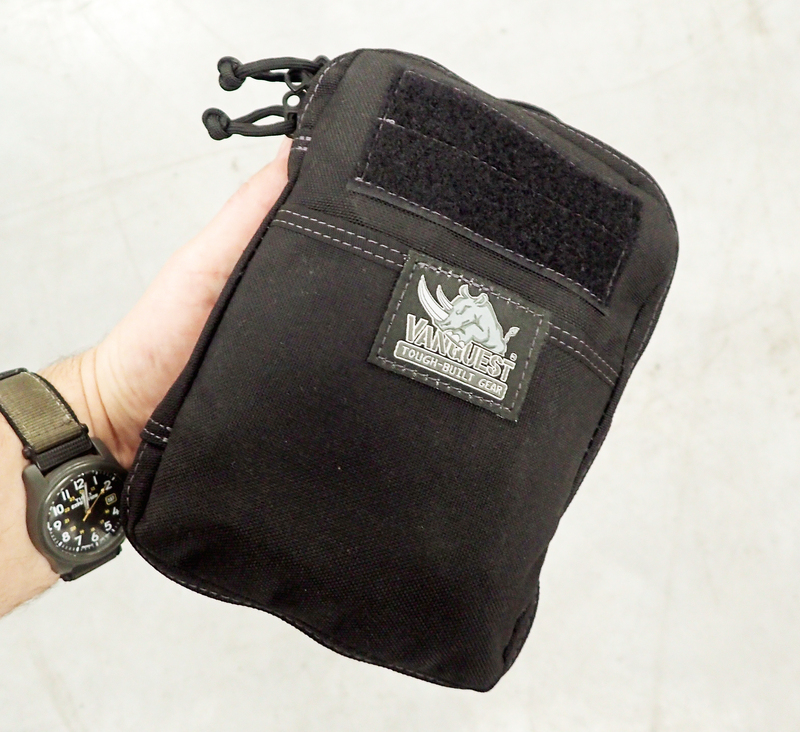 Strong and sturdy, a piece of kit that is not going to give up on you without warning and will happily poke a hole through whatever bag you have it stored in due to the double curve proving difficult to nest easily. The bowl is slightly deeper and wider than that on the plastic version. 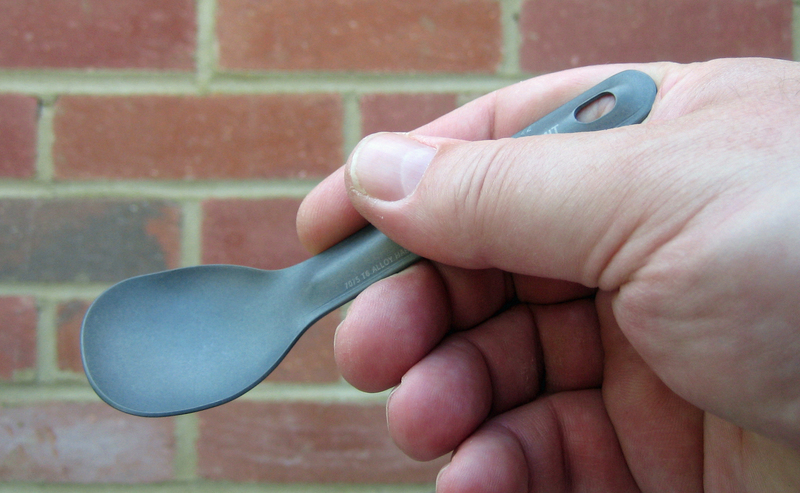 This tiny little folding titanium Spork used to find its way into my cook kit quite a bit. It nested well in a pan when in transit, taking up little room. I did find its tendency to come undone mid-eating a tad annoying and it was useless for stirring porridge and the like. Not only would it disassemble mid-stir but the little sliding catch on the handle would gunge up nastily with food. But, despite those foibles, I could I live with it. So small was it in fact that it went walkies for years and only recently turned up again. The manufacturer of the Spork shown here is a little uncertain. I think it was Vargo but could be wrong. In truth, there is little difference between almost all of the folding titanium sporks available from a number of manufacturers. These little pieces of cutlery have their fans, they will slip down easily into a pot beside other contents. However I really do find them just a bit too fiddly to be bothering with unless I really do require the small dimensions, and even then, I would likely use a short handled Spork or Spoon instead. As to other small, shortie versions, Sea to Summit seem to have the variety of spoons just about tied down, producing cutlery in a variety of materials and styles that should suit most hikers. This short spoon is one of their ‘Alphalight’ range and is constructed from ultra-light hard anodised 7075-T6 aircraft alloy, which is lighter than titanium. 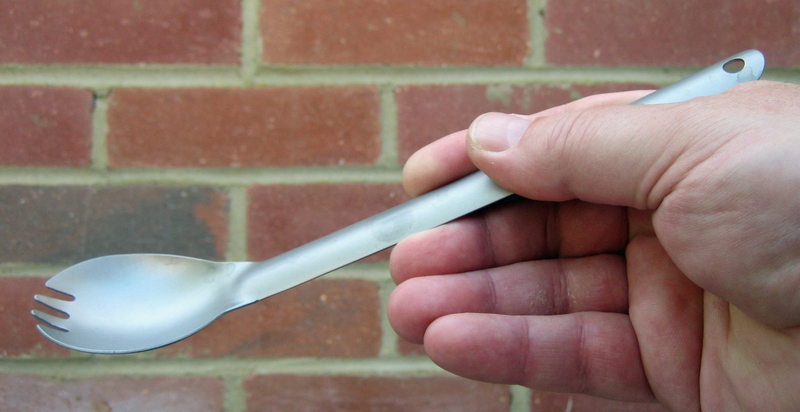 This isn’t as strong as titanium but the profile of the spoon means that this is extremely strong with very little flex. 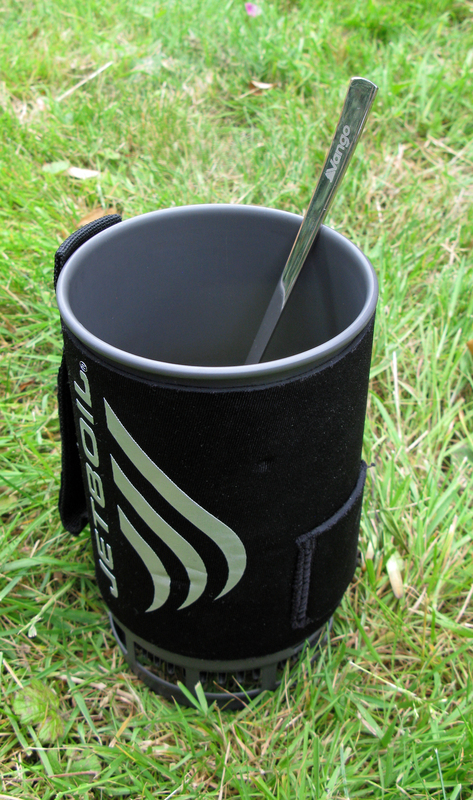 The spoon has a very short handle and is perfectly suited to nest inside a short, squat pan when in transit. It can also be used to eat with, effectively, if using one of these. I favour the short wide 0.9lt Evernew pan, this spoon stows nicely inside this pan. The bowl is quite wide and squarish in profile but is also quite shallow. 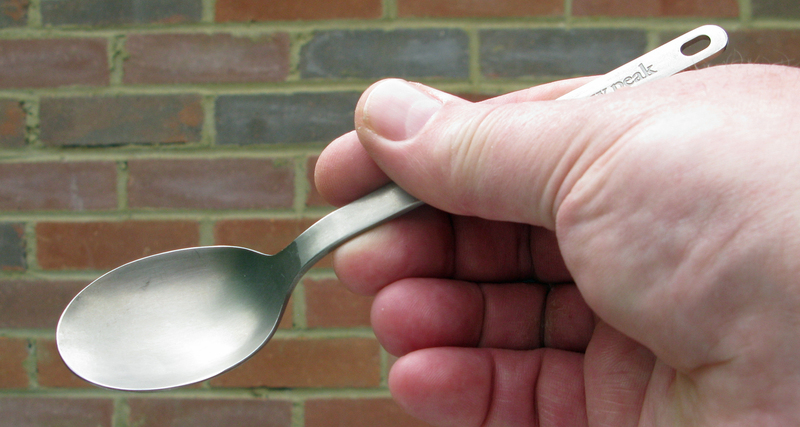 Advertised by Sea to Summit as weighing 7.5g, it settled on my digital scales at 9g, much less than the folding Spork shown above. 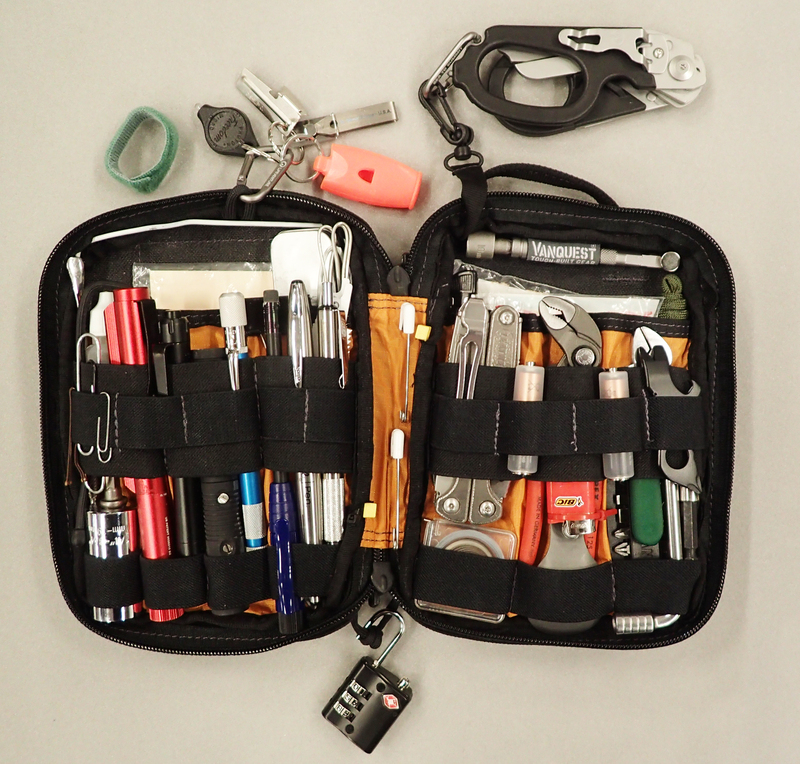 The spoon comes with a 3g mini karabiner that is useful for hanging the spoon from something, what I am not sure as it is specifically designed to go inside a pot, so the karabiner can be dispensed with in my opinion. Made of stainless steel, the thin handle of this spoon is very strong and resists bending with only a little flex. 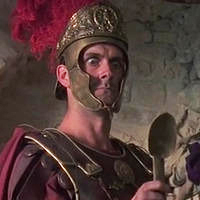 I used to have an Optimus long handled spoon. That spoon came with a slightly wider handle and a larger, shallow, polished bowl than the Vango offering. The handle on the Optimus was of more use than the Vango model for spreading food on flatbread and similar. But in common with the Vango spoon, it was too long to store in or with the pot, so was simply slipped into an outside pocket of the pack. Easily lost or mislaid in that position, that was what happened to mine. This is far better option than the Vango long handled spoon. This spoon has a more typically ‘desert spoon’ shaped and sized bowl. The polished finish is smooth and comfortable. Available from Adventure Food, it is specifically made to eat from their Adventure food meal pouches, though is obviously not limited to just those. The cut outs in the handle also mean that it is pretty nifty at stirring custard and the like. Another handy little feature that may be of use to some is the addition of a measuring scale on the back of the handle; simply stand it upright, bowl down, in the base of a deep pan and read off the quantity of water. This saves on second guessing but for those with Evernew pans (such as the one I use) or similar, which come marked with a scale, this feature may be of limited use. 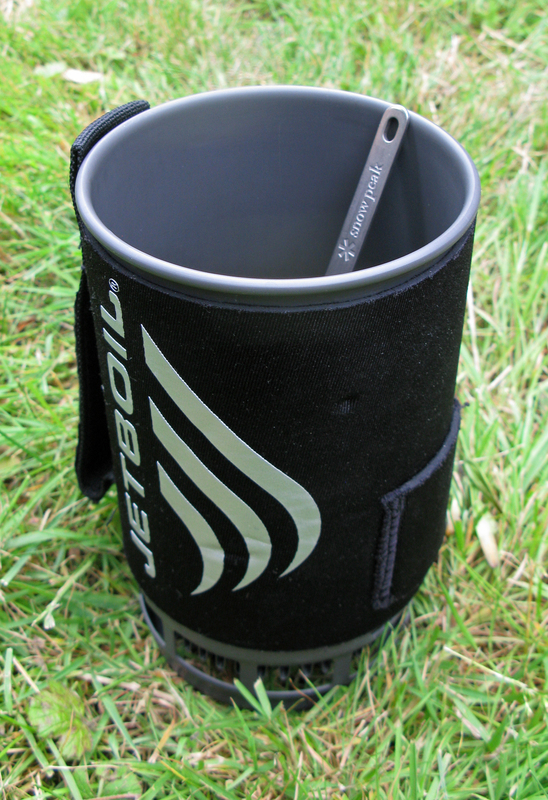 Being well sized to fish food out of the bottom of most deeper pans and having lost my Optimus spoon, this is now my ‘weapon of choice’ for use with a Jetboil. Made of stainless steel, these spoons are a fair bit cheaper than titanium offerings, another bonus is that when I purchased mine, it came as a double pack for some reason, so I already have a spare should my first one go the same way as my Optimus spoon did, result. Alpkit have been making good quality outdoors kit, at a decent price, for long enough to know exactly what their customers want. Their equipment is well thought out and this titanium spoon is no exception, I can also (almost) forgive them the daft name for the long handled fork spoon. The company made some slight alterations to this spoon in January 2015, only slight, but they improved it immensely. The tines are now more rounded rather than square ended, the bowl is deeper and larger and the angle of the head pretty much ideal. I still feel the tines are a little short, compare these with the Snow Peak offering and you will see what I mean, but most will be more than content with it. It is a strong spoon, perhaps not as rigid as some others shown here but I can’t see damage occurring to this spoon unless severely mistreated. The rounded handle, ideal for spreading peanut butter or similar, is not the most comfortable in the hand but, come on, we can get carried away with niggling expressions of discontent. For the price, this is a damn fine piece of kit. When my daughter used to go camping with me, she preferred a full set of cutlery, until I weaned her off with a bright pink Spork. 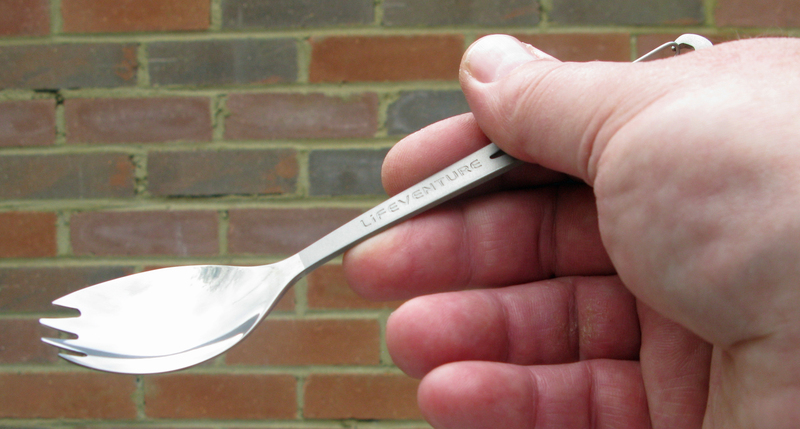 The titanium set by Lifeventure were one of the lightest available that were ‘proper’ utensils. Their small size means that they are ideal for the smaller hands of children. The fork weighs 12g, the knife weighs 17g. I have been happy to take just the 16g spoon, it is a perfectly adequate, if slightly small utensil for my larger hands. It would be perfect for anyone with small hands. This titanium spoon comes with fork tines combined with the bowl and a spring clip in the handle. It has very short tines and the smooth polished bowl feels good in the mouth, it is rather shallow though. As with the full set of cutlery above, some cut outs in the handle may shave off a meagre amount of weight. To my mind the short tines reduce its effectiveness when used as a fork to stab food. 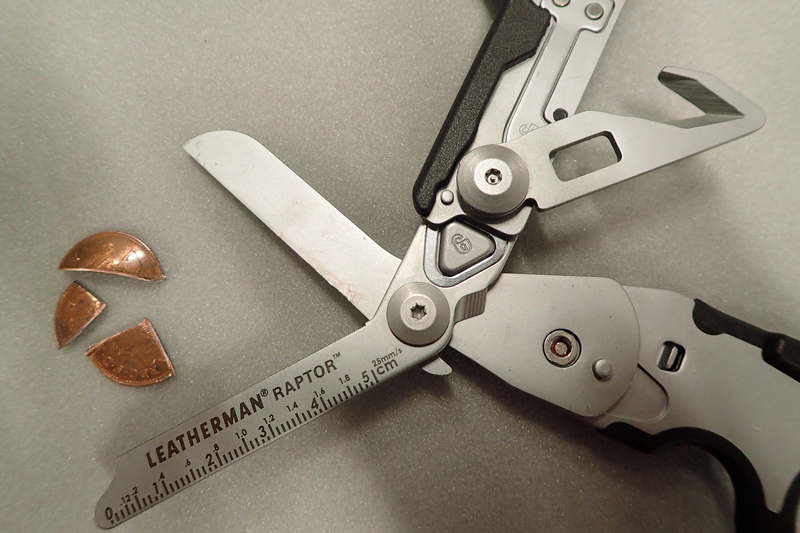 I also find the clip on the handle a tad uncomfortable in the palm. This titanium spoon has a slightly larger bowl than the Lifeventure spoon, and like that offering, does not have a polished finish so, again, a slight ‘off’ feeling in the mouth. The handle end of the spoon is supplied with the necessary jet and cable tools for maintaining any MSR liquid fuel stove, incredibly useful and weight saving if you are carrying one of those stoves, somewhat superfluous if not. 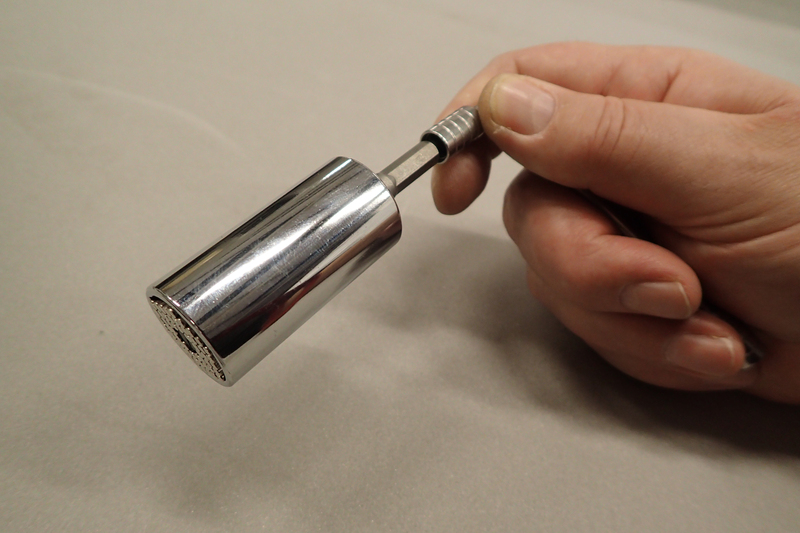 In fact, the open spanner end can be uncomfortable in the palm. Not a favourite of mine by any means as a result, not least because the small holes in the handle gunge up with food easily. This is a pretty good spoon. It has one of the widest bowls available, which is pretty deep too. Sadly, in common with so many others, the bowl is not polished. 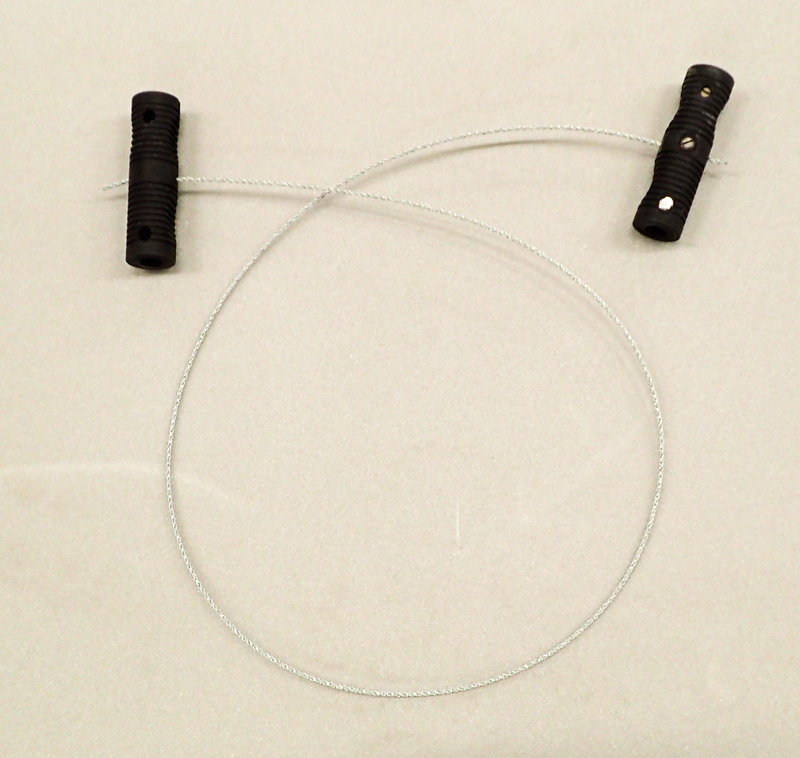 The handle is quite slim and has a small hole at the end for attaching to a karabiner or length of cordage. 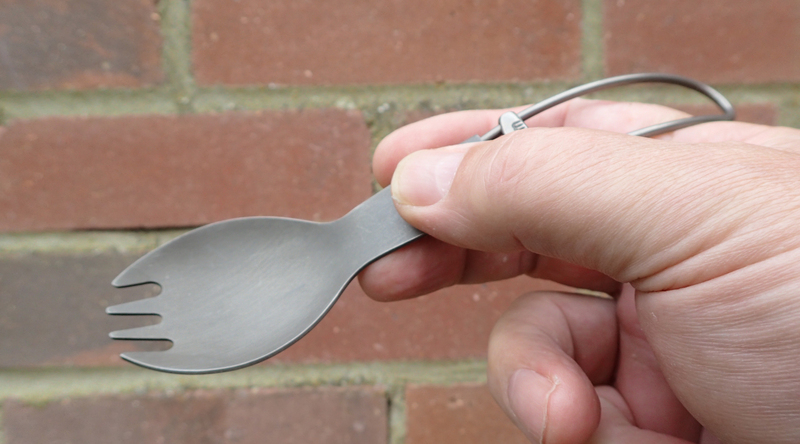 This piece of cutlery works well as a spoon, in fact I reckon it is just about perfect- simple, functional, lightweight and strong. It is only my preference for an effective spork rather than just spoon on longer multi day treks that has me looking at a better alternative. What we have here is the spork version of the spoon shown above. However the long fork tines on this offering are proper useful additions. They can actually be used to spear food while the deep wide bowl will also hold a fair amount of food. Advertised as being made from hard anodised ultra-lightweight, premium grade titanium, I have no idea if this is different to ‘normal’ titanium. Interesting to note that Snow Peak also manufacture a lightweight spatula from which the handle can be removed and fitted to this Spork to make a long handled utensil. They also make a short-handled version. So, where does that leave us? Amongst those offerings above is a solution for just about anyone. By far though, the favourite for Three Points of the Compass is the final one shown. The Snow Peak Spork. This entry was posted in Food, Gear, Uncategorized and tagged Food, gear, spoon, spork on July 23, 2015 by Jools.